Although fresh, hot, buttery corn on the cob epitomizes the long, hot days of summer, corn is also delicious removed from the cob and eaten whole kernel or creamed, or preserved for later use. 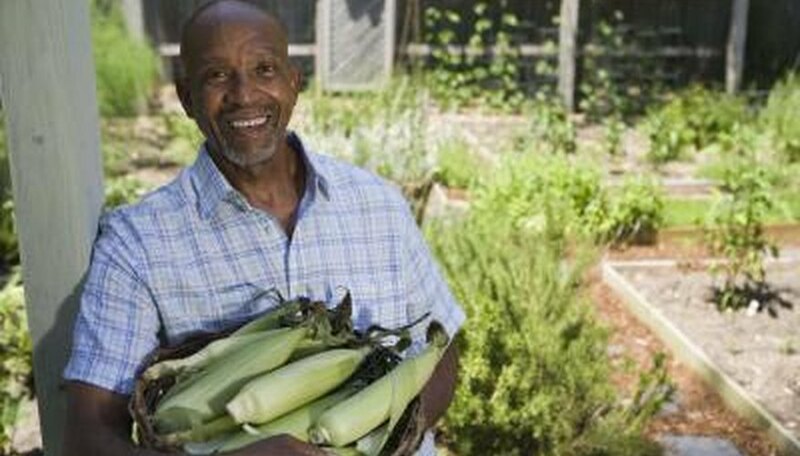 If your garden has presented you with an abundance of corn, the secret is learning exactly when to harvest. Even a few days makes a difference, as corn quickly turns from sweet to starchy. Corn is ready to harvest when the ears feel full, firm and rounded and the corn silk is beginning to turn brown and dry, usually about three weeks after the silk first emerges. If you're unsure about the corn's readiness, peel back the husk and puncture a kernel with your fingernail. If the juice is milky white, the corn is ready to harvest. The juice of unripe corn will be clear. Don't open the corn on the cob unless you can't determine readiness other ways, as bugs and birds may take advantage of unopened corn left on the plant. Corn is best when harvested at night or early in the morning. When the temperature is low, the sugar content of the corn will be higher. Retain the corn's sweet flavor by refrigerating the corn immediately after harvest and never allow the corn to remain in hot sunlight or a warm room. To harvest corn on the cob, grab an ear of corn and pull the ear straight down. Remove the cob with a quick, twisting motion. Avoid pulling the corn on the cob up, as you may loosen the roots of the corn plant. Corn plants often produce a second, smaller ear of corn. Although most corn will keep in the refrigerator for a couple of days, and actual storage time depends on the variety, corn is best when cooked or processed immediately after harvest. The sugar begins to convert into starch immediately after picking, and the corn loses its flavor. Don't husk the corn until just before you're ready to use it, as the quality of husked corn decreases rapidly.